Inked Xpressions- Instant Price Check-Includes Taxes and Shipping. 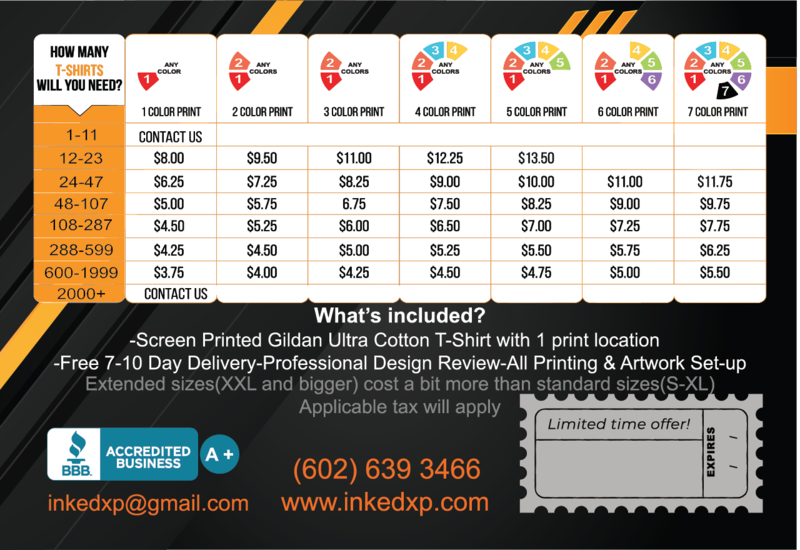 How Inked Xpression's Pricing Works - What's Included? We all know that designing your own custom t-shirts can be frustrating, so this is where we come to the rescue. All we need is your ideas and we do the rest! With our pricing, there are no hidden charges or fees. Every single price quote includes all artwork assistance, print setup, free shipping, and guaranteed delivery dates! Please provide as many details as you can about your order to receive a more accurate quote.